The 2019 Nissan Titan XD for sale at Headquarter Nissan in Columbus, GA – close to Fort Benning, Cataula, and LaGrange, GA, and Phenix City and Auburn, AL – brings commanding capability to suit your needs. A powerful 5.6L DOHC V8 engine with 390 horsepower and 394 lb.-ft. of torque comes standard, but opt for the available Cummins® 5.0L DOHC V8 Turbo Diesel engine with 310 horsepower and 555 lb.-ft. of torque for a premium upgrade. 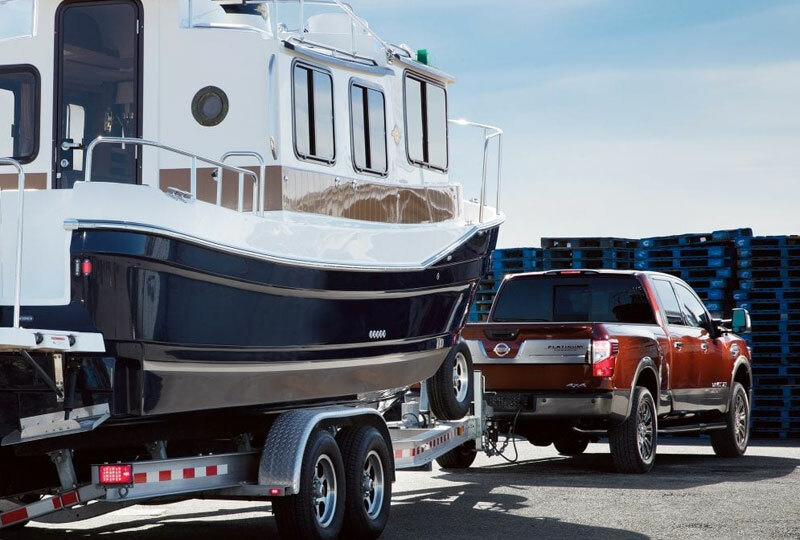 It gives you a maximum towing capacity of up to 12,710 lbs,1 meaning you can handle nearly any job that comes your way. When it comes time to load up the truck itself, overhead LED cargo bed lights and an optional Utili-Track® channel system with four tie-down cleats make it incredibly easy. If your work tends to cause a mess, you’ll be glad for standard Easy Clean® vinyl flooring and cloth-trimmed seats with stain resistant bolsters. Better yet, the cab offers plenty of convenience features. The available extra-wide center console offers plenty of space for your laptop and you can also get optional center console-mounted 120-volt AC and 12-volt DC power outlets. 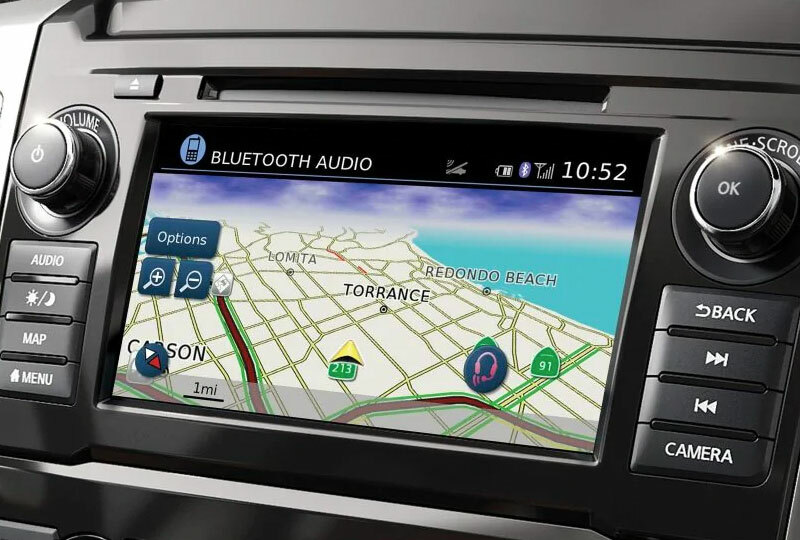 The Bluetooth® hands-free phone system and wireless streaming audio allow easy connection to your smart device for both making calls and playing your favorite music. Right now is the best time to buy a new Nissan! Take your test drive today at Headquarter Nissan by visiting the showroom at 1725 Whittlesey Road, Columbus, Georgia. 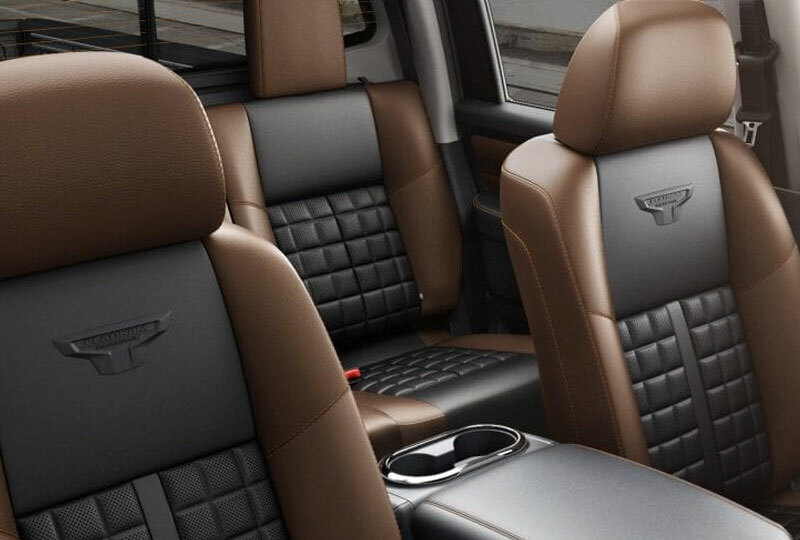 Ride home in your new 2019 Nissan Titan XD today! 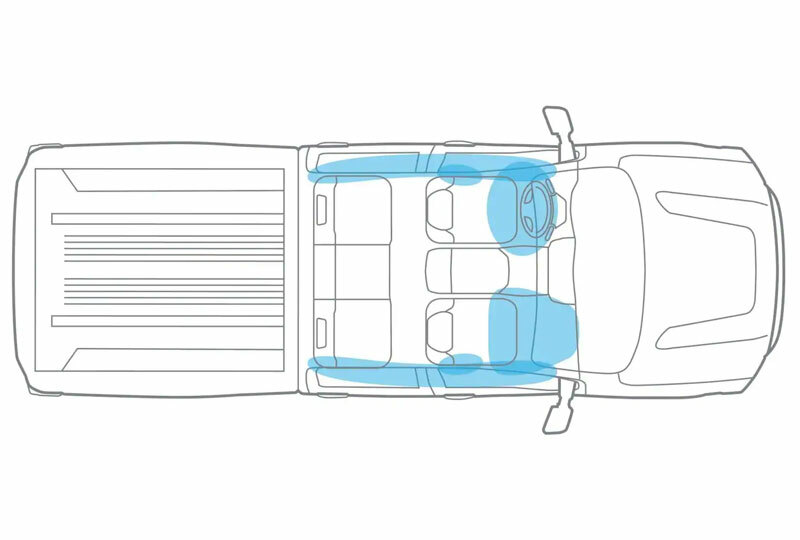 Available heated and cooled front seats and heated rear seats in the outboard positions quickly and efficiently make things comfortable for you and your passengers. Towing used to be a two-man job. But with innovative engineering, you can hook up and hit the road quickly and confidently, even when you’re on your own. When it detects oversteer or understeer, Vehicle Dynamic Control (VDC) can reduce engine power and apply brake pressure to specific wheels. 1. When properly equipped. With Single Cab 4x2 with Cummins® V8 diesel engine. Towing capacity varies by configuration. See Nissan Towing Guide and Owner’s Manual for additional information.